In the first quarter of 2016, the e-commerce industry had a big quarter. Online sales for the companies in the industry had grown 15.1 %. 11 % of that was from retail sales that were not on the internet alone. That is the highest e-commerce penetration into a the markets in history. The web sales amounted to gains of $86.3 billion at the end of March. That is an increase of $75 billion from March 2015. The other reason e-commerce is huge is Amazon. This fact might be obvious, but the company and its influence on the markets cannot be ignored. Not only can Amazon not be ignored but, the whole industry can no longer be ignored. Amazon was the biggest winner this quarter with nearly 26% of all the web sales done with the company. With those numbers Amazon has surpassed Wal-Mart in sales. This news is huge. Where Wal-Mart once dominated the markets and industry is no longer true. 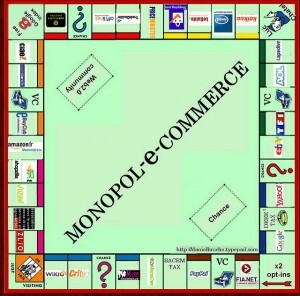 There is a new sheriff in town and his name is e-commerce.